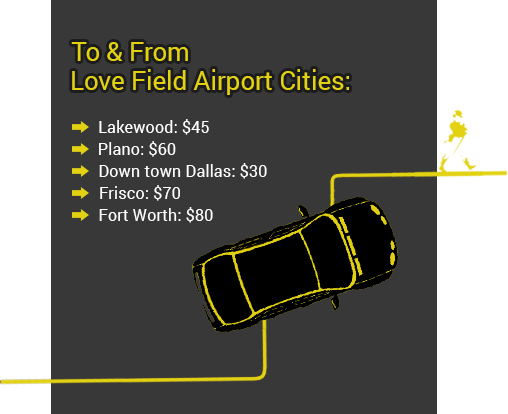 Luxury Limo Cars, Sedan, SUV at Taxi Rates for Airport Transportation. 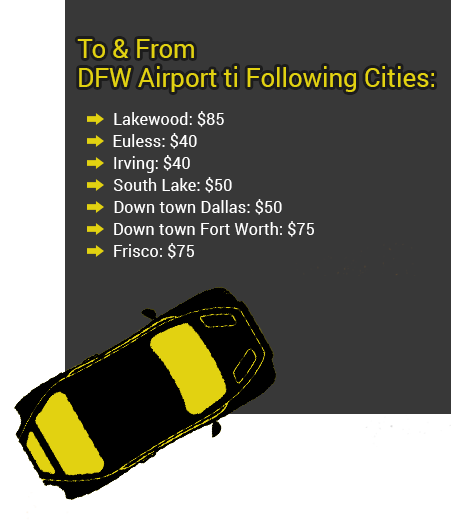 Luxury Taxi Car Service, DFW. DALLAS LIMO and BLACK CAR SERVICE provides DFW airport transportation & airport taxi service using the brand new sedan, SUVs and limo car – the unique transportation experience at unbeatable rates. You do not need to hire taxi or cab service as your ride to or from airport when you can hire our luxury and econo black cars. Our rates are almost similar to taxi service rates from and to the airport and this gives you option to travel in class cars at taxi service rates. We have got a reputation of limo and black car transportation service company who believe in maintaining high standards of service and punctuality. We provide secure, highly professional, certified and quality transportation services to our customers. We believe that luxury transportation services can only be delivered with the latest technology, VIP service standards, a diverse fleet of new & luxury vehicles and professional chauffeurs and staff trained to serve the best in this industry. We have luxury sedan, SUV, stretch limousines & party buses. A large fleet awaiting you to provide the best experience. Why Our Cars & Taxi Service?